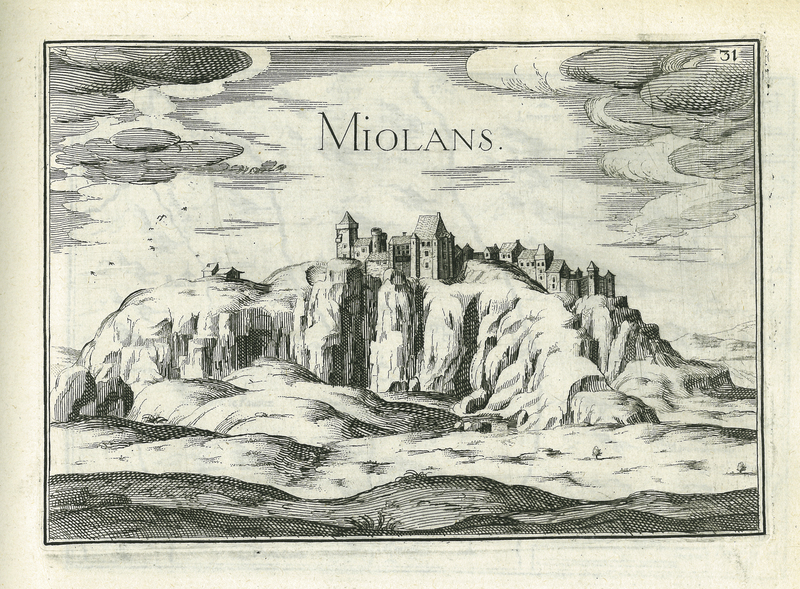 The Fortress of Miolans straddles France's mountainous border with Italy. Transformed into a prison in the 16th century, its infamy rivalled the Bastille. Nicholas Tassin, “Les Plans et Profilz de toutes les principalles Villes et lieux considerable de France Ensemble les Cartes Generalles… ,” ourheritage.ac.nz | OUR Heritage, accessed April 26, 2019, http://ourheritage.ac.nz/items/show/10639.